Using named day delivery: Order this product within 4 hrs and 56 mins for guaranteed Saturday delivery. 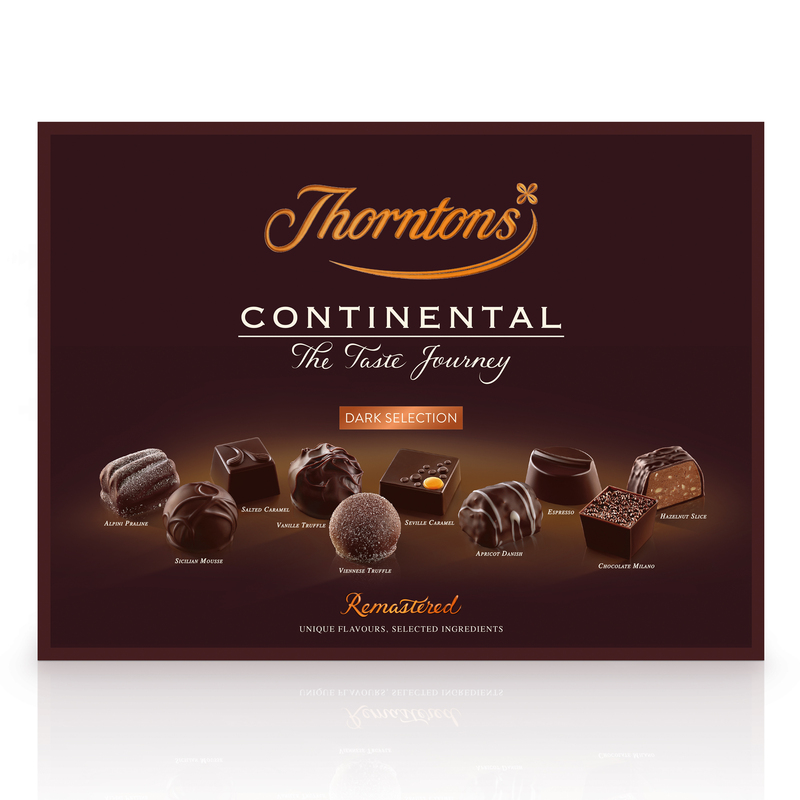 Thorntons Signature - A delicious blend of smooth and creamy dark chocolate. Our improved recipe. 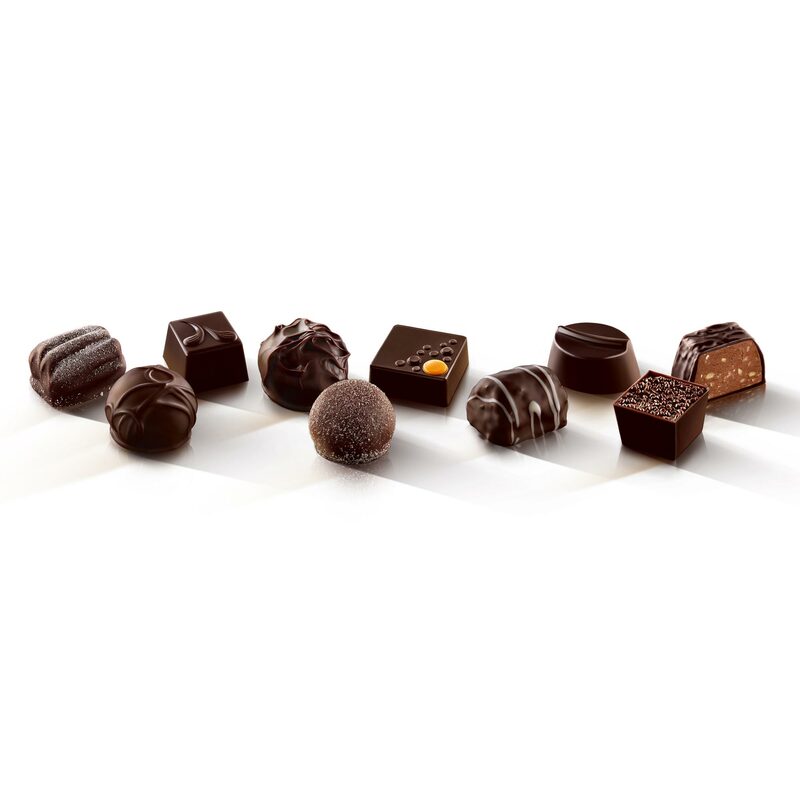 Sugar, cocoa mass, cocoa butter, vegetable oils (palm, shea), HAZELNUTS, butter (MILK), glucose syrup, dried whole MILK, humectant (sorbitol), fat reduced cocoa powder, dried skimmed MILK, sweetened condensed MILK (whole MILK, sugar), lactose (MILK), double cream (MILK), dextrose, dried apricots (contain preservative: SULPHUR DIOXIDE), whole MILK, invert sugar syrup, emulsifiers (SOYA lecithin, sunflower lecithin), lemon juice powder (maltodextrin, concentrated lemon juice), concentrated orange juice, ALMONDS, dried instant coffee, MILK fat, salt, flavourings, stabiliser (invertase), sea salt, acid (citric acid), colour (paprika extract).